Plugging in a set-top box and re-tuning the TV to receive digital channels could prove the easy part of the UK's digital switchover. The hard part will be when some viewers discover they aren't always getting everything they bargained for. 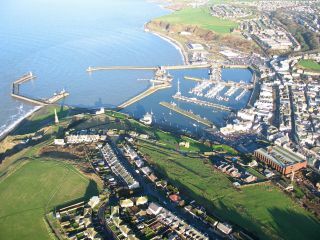 In October, Whitehaven became the first UK town to lose its analogue signal and make the switch to a fully digital service. Two months on and residents have launched a petition demanding they get the 'full' quota of 40 Freeview channels, after the switchover left some with a total of 20 digital channels. Missing stations include Film4, Sky News and UKTV. The reason why some Whitehaven residents aren't getting the full Freeview package is down to the fact that they receive their signal from a local relay transmitter rather than a main one. Under the provisions of the digital switchover, only public service channels - such as BBC and ITV - must be made available universally. As Jon Steel from Digital UK - the independent body responsible for making the digital switchover happen - explains, "We've been tasked with the universal delivery of the 20 public service channels across the UK. The commercial channels have to make their own decisions about how many additional masts they want to invest in to carry their signal."